Welcome to use at www.maximsmx.com.hk(“this Website”) of Maxim’s Caterers Limited (“Maxim’s MX”). This Website provides information about us, food menu, news and promotion, store list and how to contact us. All the information contained within this Website is for reference, interaction and purchase only. It is for individual use only and should not be used for any commercial purposes. You agree not to, in any way, disseminate, announce, spread, revise, replicate, display or sell any of the contents of or the products described in this Website, or any derivative works based on them, or use such works. You agree to indemnify Maxim’s MX (including its subsidiaries, affiliated companies, associated companies, senior employees, agents, joint brand owners or other partners and employees) in full against any loss and damages as suffered and legal costs incidental therefrom arising from your unauthorised use of any content and/or material from this Website, and to defend on behalf of and hold Maxim’s MX (including its subsidiaries, affiliated companies, associated companies, senior employees, agents, joint brand owners or other partners and employees) entirely harmless. You agree that your unauthorized use of any content and/or material of this Website may result in irredeemable losses to Maxim’s MX and in the event of your unauthorised use, Maxim’s MX has the right to apply for an injunctive and/or restraining order in addition to any other remedies under common law or equity. The online takeaway ordering service is opened to all Users in Hong Kong. Users are held fully responsible for all the actions taken while using this service. Maxim’s MX will periodically carry out promotional activities on this Website. If the promotional activity involves winning or accumulating points or other rewards, Maxim’s MX will be the final arbitrator of the total number of points awarded according to its records and you shall not dispute such decision. The contents of this Website, including text, diagrams, images, music, symbols, graphic button, links, HTML code, trade mark, software and other materials and all the materials of this Website (including the collection, arrangement and compilation of such materials) (“Materials”) are protected by copyright law, trade mark law, intellectual property right laws and other applicable laws. 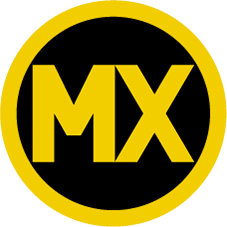 All Materials are the exclusive property of Maxim’s MX or website contents provider of Maxim’s MX or its clients (as the case may be). Unauthorized use of any Materials is an infringing act under the copyright law, the trade mark law, intellectual property right laws or other applicable laws. Without any prior written permission from Maxim’s MX, you shall not, sell or modify the Materials, copy, reproduce, re-issue, upload, download, publish, transmit, display, publicly implement, issue the Materials in any way, store the Materials in the retrieval system or use it in any other way. You can only use this Website for legal purposes and cannot use this Website to, in any way, infringe the intellectual property rights of any other person or invade the privacy of other users or acquire their identities or any other personal details, or damage any part of this Website, the Materials and/or products provided in this Website. You have the responsibility to judge whether any of your actions will infringe the rights as described above. You shall not, in any way, change any Materials or product provided in this Website and shall not interfere with the operation of this Website in any way, including but not limited to, transmitting software viruses or transmitting any computer code or message designed to shut down, interfere with or change the operation of this Website. You shall also not use this Website or other method to collect the details of other users. Without express permission from Maxim’s MX, this Website or any part thereof shall not be reproduced, copied, printed, sold or transferred. This Website shall be used by the users for purposes as intended by Maxim’s MX only. There may be incorrect material or typesetting errors in this Website. Maxim’s MX does not give any implied or non-expressed guarantee and does not guarantee the correctness, reliability, completeness or timeliness of any material of this Website. Maxim’s MX does not accept any liability for the contents of other websites whether linked through this Website or not or anything uploaded on this Website or linked to this Website, including but not limited to any fallacies, errors, omissions, infringements, libel, lies or any other material or omission that is likely to be illegal or gives rise to a claim or complaint. You will be solely responsible for any consequences resulting from use of this Website or its links. The content of this website and the other aforementioned websites are likely to change at any time or change periodically, so please check related materials regularly. Maxim’s MX does not guarantee the following: this Website will be totally free of errors now and in the future, this Website and its server will always be free of computer viruses or other harmful function, that any shortcoming will be corrected or that this Website is timely, safe and will not be discontinued. If your use of these website material results in the need to repair or renew equipment or data, Maxim’s MX accepts no liability for any resulting expenses. For any damage or injury, regardless of direct or indirect breach of contract, infringement, negligence or any factor (including but not limited to, accidental damage, indirect damage, loss of profit, or damage resulting from the loss of data or business termination), arising from use or inability to use the materials of these websites, or implementation failure, error, omission, discontinuation, deletion, shortcoming, delay in operation or transmission, computer virus, communication cable malfunction, interception of on-line communication, soft or hard ware problem (including but not limited to loss of data or compatibility problems), theft or resulting from damage or changes to the websites whether or not a result of the use of this Website or uploading or downloading of this Website’s data, text, images or other materials or data, and regardless of whether Maxim’s MX has been notified of the likelihood of such damage, Maxim’s MX and any third party mentioned on this Website shall not bear any liability as far as it is permitted under the applicable laws. (m) for providing you with direct marketing communications in accordance with the relevant section below. You agree that after you have provided your personal verifiable Data, including your name, telephone number, email address and correspondence address to Maxim’s MX, you may from time to time receive telephone calls, SMS, emails and direct mails containing direct marketing information on offers and promotions in relation to food and beverage and catering services provided by Maxim’s MX, its affiliated companies and business partners in joint promotions. In the event of joint promotion, the details of the joint promotion will be sent either by Maxim’s MX or its designated communications service provider but not by the joint promotion partner. If you do not wish to receive any such direct marketing communications, whether or not you have consented to Maxim’s MX providing you such information, you can at any time send us your request with your name to Maxim’s MX Data Privacy Officer via email at:dataprivacyoffice@maxims.com.hk or by post to: Maxim’s MX Data Privacy Officer, Maxim’s Caterers Limited, 18/F Maxim’s Centre, No. 17 Cheung Shun Street, Cheung Sha Wan, Kowloon, Hong Kong. Maxim’s MX complies with Hong Kong laws including Personal Data (Privacy) Ordinance (Cap. 486) in its policy and the ways it collects, uses, stores, discloses, transfers, protects and accesses Data. (d) anyone who reasonably requires Maxim’s MX to make disclosure in order that Maxim’s MX can implement the purposes listed in this Privacy Statement. Maxim’s MX specifically states herein that it has not and will not sell your Data. Maxim’s MX also will not provide, disclose, allow access and transfer your Data to any third party other than the above without your prior written approval. Maxim’s MX shall retain your Data after you have provided your Data via this Website. Your Data will be retained for not more than 1 month after the termination of the purpose for which you provided your Data, and thereafter erased. Maxim’s MX will use various security technologies and procedures to protect your Data from unauthorized access, use or disclosure. Because of the nature of Internet, Maxim’s MX cannot guarantee the security on any transfer of Data. However, Maxim’s MX will take all practical and feasible measures to ensure any Data collected by this Website will not be intercepted by any third party. You must be clear that Maxim’s MX ‘s advertisers or any website with links to this Website may collect your Data. You must read the relevant privacy statement carefully and agree to such privacy statement before you provide your Data to them. Your provision of your Data to any third party has nothing to do with Maxim’s MX and Maxim’s MX will not have any responsibility for such. If Maxim’s MX receives relevant Data from a third party, it will retain the information in the usual strict secured and confidential standards. You are aware that according to Personal Data (Privacy) Ordinance (Cap. 486), you have the right to access your personal data held by Maxim’s MX and request amendment to your personal data. If you wish to access or amend your personal data held by Maxim’s MX, please send your request to Maxim’s MX ‘s Data Privacy Officer via email at:dataprivacyoffice@maxims.com.hk or by post to: Maxim’s MX Data Privacy Officer, Maxim’s Caterers Limited, 18/F Maxim’s Centre, No. 17 Cheung Shun Street, Cheung Sha Wan, Kowloon, Hong Kong. If you do not wish to receive any direct marketing communications in the future, you can at any time send us your request with your name to Maxim’s MX’s Data Privacy Officer via email at: dataprivacyoffice@maxims.com.hk or by post to: Maxim’s MX Data Privacy Officer, Maxim’s Caterers Limited, 18/F Maxim’s Centre, No. 17 Cheung Shun Street, Cheung Sha Wan, Kowloon, Hong Kong. Please note that if you opt out of receiving direct marketing communications, you will not receive the news in relation to our discount offer or promotion. Maxim’s MX may use Web beacons on this Website or other websites and allow third party to place Web beacons on this Website to monitor the effectiveness of promotion or other legal purposes. Web beacons are also called web crawler. It is an object that is embedded in a web page or email which allows checking by website owner or a third party on whether a user has viewed the page or email. It is usually invisible to the user as its size is generally very small (1×1 gif) and has the same colour as the web page, document or email. Web beacons are identified as HTML IMG on web pages. Users can click on the information option on the web page to find out whether Web beacons are used on the web page. Web beacons can link to personal information. For example, advertising network uses web beacons to add on personal information the web pages a person visited and based on such information to add a particular kind of advertising bars. Web beacons can also be used to independently track the number of people visiting the web site. Please note that Maxim’s MX provides links to third parties’ websites as a service to users. Maxim’s MX is not responsible for the contents on such web pages or how information is collected on such web pages. Maxim’s MX strongly recommends you to read and understand the privacy statements of any such third parties’ website and you shall submit any information to them only if you agree to such privacy statements. This Website does not plan or intend to collect Data from underage below 18. To respect the privacy of underage, underage below 18 should not provide any Data on this Website. Maxim’s MX urges parents/ guardians to monitor their children when they surf on the web. This Privacy Statement is governed by the laws of Hong Kong, the Special Administrative Region of the People’s Republic of China (“Hong Kong”). The user irrevocably consents to the non-exclusive jurisdiction of the courts of Hong Kong to resolve any matters arising out of any disputes, disagreements or claims between Maxim’s MX and the user. This Privacy Statement is made in both the English and Chinese language. In case of inconsistencies and discrepancies, the English version shall prevail, given the Chinese version is for reference only. Copyright 2019 MX. All rights reserved.